Rickshaw Bagworks is an American-made success story, with a commitment to artisan production and sustainability. The Zero Messenger Bag is their flagship product, a tough, functional tote manufactured with zero wasted material. 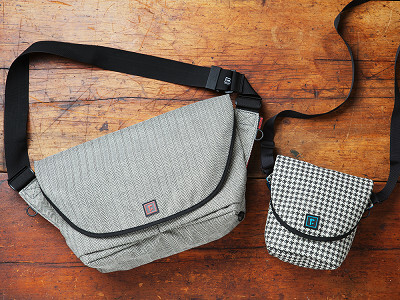 Designed and produced in San Francisco, each bag features U.S. fabrics made from recyclable materials. The sleek, streamlined shape highlights Rickshaw’s incredible fabrics and urban sensibility. Founder Mark Dwight built Rickshaw on a core Grommet principle—that people want to feel connected to the company behind his products. Rickshaw translates to “human powered vehicle”, a nod to the classic cyclist bag. But it also reflects the power people have to make a difference in the way they build and buy things. These bags are made to last, as proved by Grommet founder Joanne Domeniconi. After years of taking her Zero on daily commutes, plane trips, and conferences around the country, it was barely worn. She decided to change patterns simply to mix things up, and worked with Mark on two new fabric combinations. On every Rickshaw bag, there’s a “PCQ tag” inside, reflecting the company’s three pillars: passion, craft, and quality. Hey there, everyone! I'm happy to present Rickshaw Bags to The Grommet. We call our bags Zero Messenger bags because there is zero waste in the manufacturing process. Please don't hesitate with any questions you may have! Hi - I have a question about the flap. I sew, and am wondering how the rounded flap is made with zero waste. Usually when a round edge is cut, there remains a small oppositely-rounded piece that is cut off. Just curious! What are the pockets or sleeves like inside, I'm curious about the large one. @Sarah Hi Sarah! The insides are equipped with velcro (the soft side, no worries about scratching!) to attach various pockets we have available to. One of our most popular pocket add-ons is our Deluxe Drop Pocket. another great grommet! after seeing the multitude of styles/patterns, is there an address to shop other styles as well? also, the dimensions listed are the same for the small an medium messenger bag, is this a typo?, I'm interested in the medium size. @christopher Chris, the dimensions for the Medium Messenger bag are: 11" H x 12.5" W base x 18" W top x 6"D, the dimensions for the Small Messenger bag are: 10" H x 10" W base x 13" W top x 4.5"D.
Would like to see more color choices. again, is the size for the small bag the same as the medium bag as detailed? thanks. thanks, disregard my last message! very nice bags, thank you! oops, sorry, just one more thing, is the strap removable? promise, last question, hehe! @christopher No problem! The strap is indeed removable. @Angelina gonna check the site, but I'm sold, thank you for your kindness, good luck! These bags are the best! My brother started carrying them and liked them so much he purchased several for me. I think I have small, med and mega! sizes and they all have great purpose. He has even taken his bicycle up there to the factory to have his latest made. Thanks for an awesome product. @IRMA Irma, thank you for all the love! Any future plans for making inside pocket with a zipper? to keep small items from coming out. Hi Patti, thanks for the comment. It's a good idea I'm sure Angelina and the rest of the Rickshaw Bagworks team will keep in mind as they continue to develop their products. 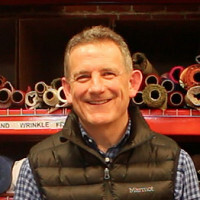 Rickshaw Bagworks is an American-made success story, with a commitment to artisan production and sustainability. The Zero Messenger Bag is their flagship product, a tough, functional tote manufactured with zero wasted material. 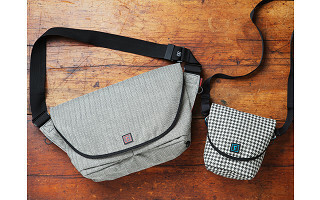 Designed and produced in San Francisco, each bag features U.S. fabrics made from recyclable materials. The sleek, streamlined shape highlights Rickshaw’s incredible fabrics and urban sensibility. Founder Mark Dwight built Rickshaw on a core Grommet principle—that people want to feel connected to the company behind his products. Rickshaw translates to “human powered vehicle”, a nod to the classic cyclist bag. But it also reflects the power people have to make a difference in the way they build and buy things. These bags are made to last, as proved by Grommet founder Joanne Domeniconi. After years of taking her Zero on daily commutes, plane trips, and conferences around the country, it was barely worn. She decided to change patterns simply to mix things up, and worked with Mark on two new fabric combinations.